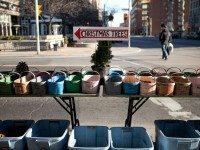 On the hunt for independent Christmas tree vendors, we caught up with the folks at Jeffrey Jordan's St. Lawrence Market lot. In today's Urban Planner: learn about transit at the "Now What?" 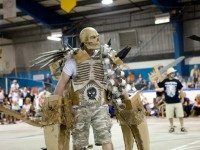 series of panel discussions; think about social issues through the lens of design, starting with a talk about the Occupy Movement at the Centre for Social Innovation; and see a revue that visits a number of past Off-Broadway hits. 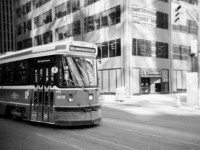 How Did Toronto Lose So Much Transit Service? 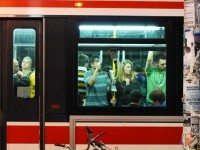 Yesterday the TTC announced major service reductions, cuts they have opted for almost entirely without debate. Some thoughts on broken decision-making at City Hall. Step one: don box(es). Step two: fight!